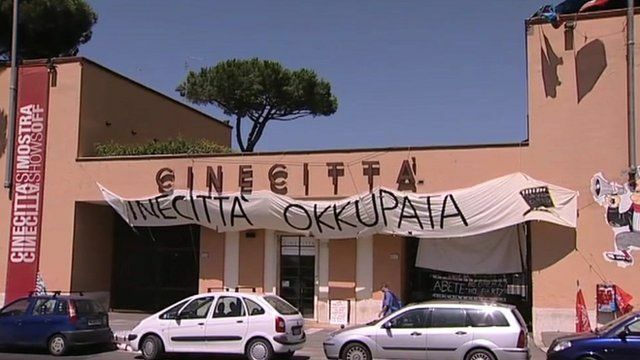 One of the world's great centres of movie-making tradition, the Cinecitta studios in Rome, is being riven by a bitter dispute over its future. This famous place that once rivalled Hollywood is under part-occupation by striking workers. For more than two months they have been camped day and night on the roof of the main gatehouse and in an area nearby.